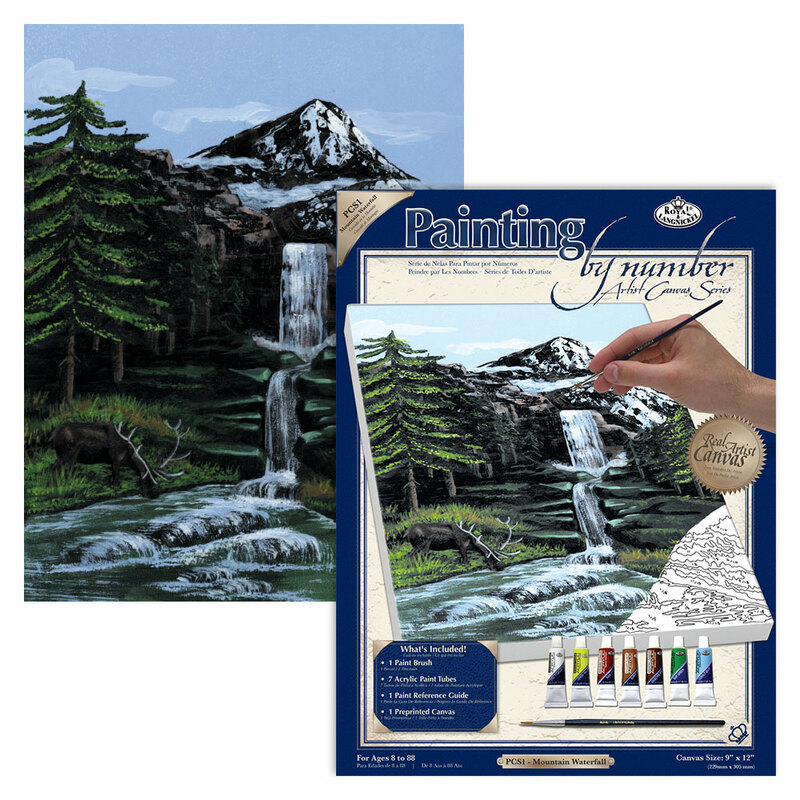 A lovely scene showing a mountain waterfal and trees on this painting by numbers set which is suitable for ages 8 - 88. In the set you will receive a printed canvas, the necessary paints, a brush and full instructions, enabling you to complete your masterpiece. You can spend many quiet, relaxing hours as you paint and see your work of art take form. Once completed, you can frame it and display it in your home. These sets make excellent gifts for family and friends too.